Jim Gindin, the owner of Solecismic Software and creator of the long-running Front Office Football game franchise, has joined the OOTP Developments family. “Jim and our team (led by Andreas) have already worked together for over 8 months, laying the groundwork for a franchise reboot which will proudly carry the name ‘Front Office Football’. We have not finished the final feature list, and we have not set a specific release date, although we are targeting late 2018 at the moment,” OOTP Developments lead programmer Markus Heinsohn posted on his company’s boards. It all sounds fantastic if you are a sports strategy games fan. You can have more information on the current generation of Front Office Football visiting the game’s Steam page, where you can also buy the game if you’re interested. The original game, which dates back to 1998, received an Editors’ Choice award from Computer Gaming World and a 4 1/2-star review. The current edition is the Eighth full version, updated in October with 2017 player rosters. The game will certainly benefit a lot from a full facelift as the graphics of the game still remind the one from the first versions. Certainly this game will be truly welcome as it can be a great way to jump-start the football strategy gaming genre, a genre that lately didn’t see much action. 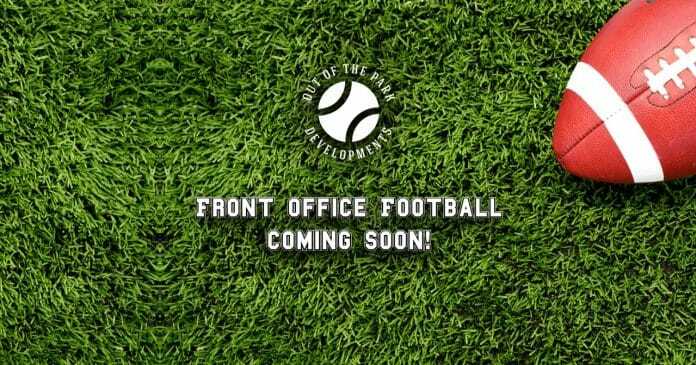 Stay tuned to Sports Gamers Online for more information and news about Front Office Football as it gets available!